Whisk fudge topping and 1 cup whipped topping in medium bowl until blended. Add dry pudding mix; stir 2 min. Stir in 1 cup chopped cookies. 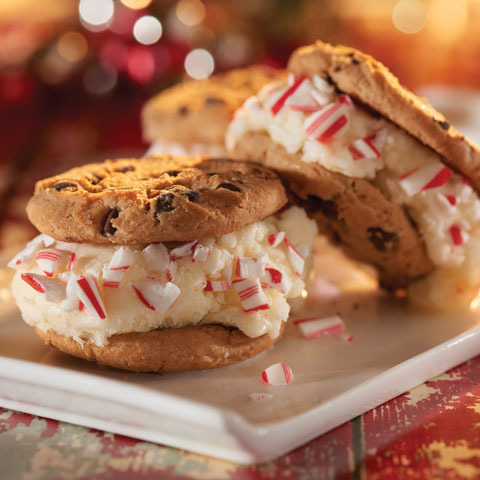 Arrange 4 ice cream sandwiches, side-by-side, on 24-inch-long piece of foil; cover with half the pudding mixture. Repeat layers. Top with remaining sandwiches. 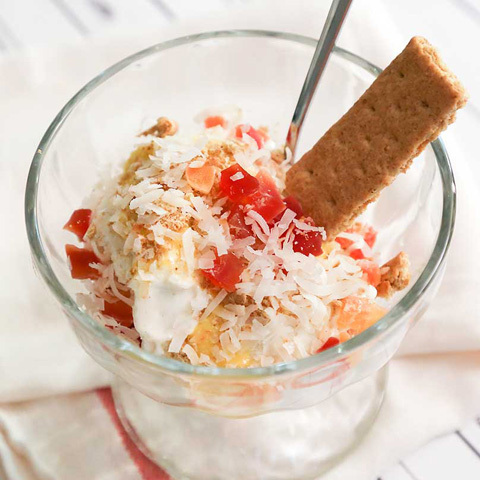 Frost with remaining whipped topping; press remaining chopped cookies into top and sides of dessert. Wrap loosely with foil. 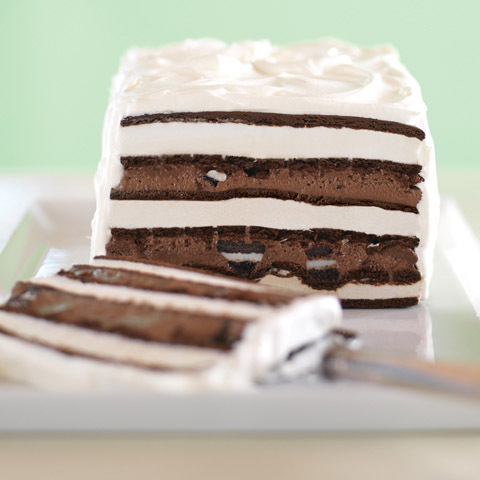 NoteThe consistency of fudge topping can vary depending on what brand you purchase. If your fudge topping mixture is too thick to spread easily, stir in up to 1/4 cup milk. 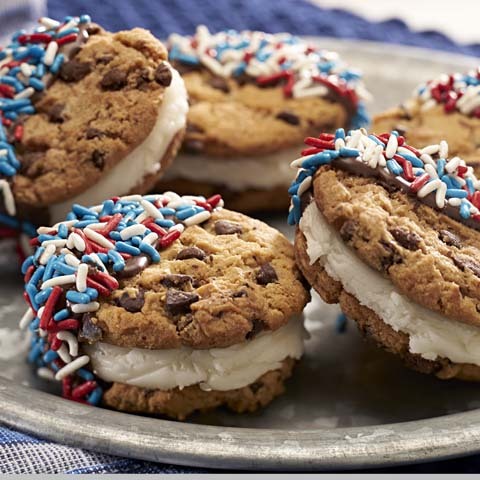 Special ExtraPrepare using Neapolitan ice cream sandwiches. 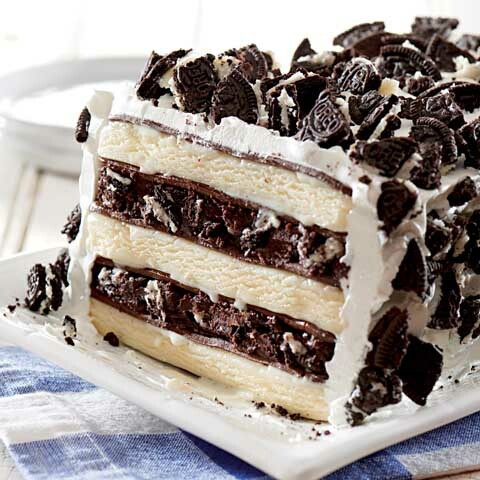 Size-WiseSince this indulgent ice cream cake makes 12 servings, it's the perfect dessert to serve at your next party.